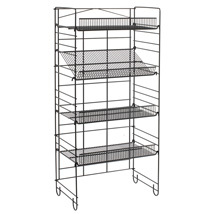 The 4 Shelf Adjustable Shelving Rack can hold a variety of merchandise. The Adjustable Shelf Rack can be folded and put away when not in use.The Shelves have a lip on every shelf to keep product on the shelf. Great for scrapbooking items. 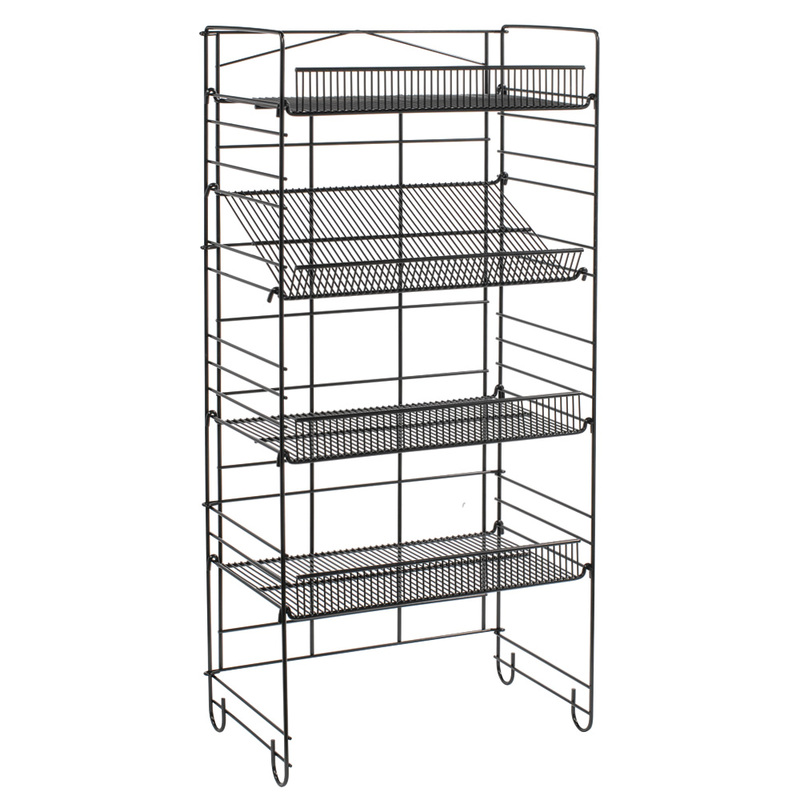 Add sign holders to the top and sides of this 4 Shelf Heavy Duty Adjustable Shelving Rack. Top sign holder and side sign holders sold separately, search items 1207 and 1209. Also available with side clipping strips to merchandise more, search item 2380.